Last week Michael Gove rekindled the debate on British values by demanding that they should be taught in Britain’s schools. Gove’s broadside against the dangers of Islamic extremism taking a hold of our education system was backed by the Prime Minister, who rallied to his Education Secretary’s side, claiming that the incorporation of British values into the school curriculum was likely to have the “overwhelming support” of the country. The Prime Minister went on to give his own view of what these values are, citing freedom, tolerance, respect for the rule of law, belief in personal and social responsibility, and a respect for British institutions. This is not the first and doubtless it won’t be the last time that the question of “core British values” has hit the media headlines. 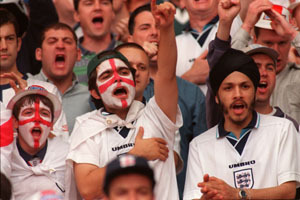 In 2001, in the wake of riots in Bradford, Burnley and Oldham, the failure to identify and inculcate British values was widely thought to be the biggest stumbling block to community cohesion and a shared sense of national identity. The debate last week closely paralleled that of thirteen years ago. Anxiety about Britain becoming a more segregated, intolerant and fragmented society is as acute in 2014 as it was in 2001. The concern that ethnic minorities may have too much cultural protection, licensing them to live parallel lives, hangs over us now just as it did then. And confusion about what British values are – indeed whether they really exist – rather than diminishing over in intervening decade has, if anything, increased. The most interesting intervention in last week’s debate was not however that of the Education Secretary nor that of the Prime Minister. It was the interview by the Faith and Communities Minister, Baroness Warsi, which was given to BBC Radio 4′s World at One (available for limited time). Warsi is the first woman Muslim to serve in the cabinet. With a subtlety and sensitivity typically lacking in such debates, she drew a distinction between conservatism and extremism and cautioned against ‘tackling these matters’ in a way that made matters worse and alienated the majority of Muslims. Crucially, as calls were being heard for a national conversation about British values, Warsi underscored the necessity of all of Britain’s communities being included in that conversation. In 2005, the authors of this blog went in search of British values among Britain’s first generation Asian migrants. One of us worked in a university history department, the other in an Equality & Diversity Unit of a local council. 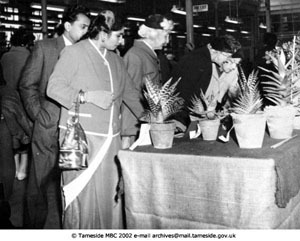 We conducted interviews with thirty men and women in the Tameside District of a Greater Manchester who had arrived in Britain from India, Pakistan and Bangladesh between 1956 to 1972. The youngest was 49, the eldest 86. We saw ourselves as rising to the challenge issued by the former CRE Commissioner Shahid Malik, who had recently noted that “we know what British values are broadly-speaking’, but tellingly went on to add that “it would be nice to get them down on paper somewhere”. We felt that the idea of core British values would remain an empty one unless there was a greater understanding of what Britain’s migrant communities considered those values to be. We also felt that if the voices of Britain’s ethnic minorities were rarely heard in the public debate about Britishness, the voices of Asian communities were heard even less than those of other groups. We focused our attention on the first generation, for whom Britain was a largely alien society when they arrived, but who had since come to make Britain their home. Our findings were striking. The majority of our interviewees confidently described themselves as “British Indian”, “British Pakistani”, or “British Bangladeshi”. The sense of Britain being their home meant that few entertained the notion of eventually returning to their place of birth, even though they had often clung to such a possibility during their early years of settlement. They were moreover remarkably consistent in their sense of what British values were. Alongside a legal definition of Britishness – the right to hold a passport, which they clearly prized – they identified a core set of values: religious toleration, the welfare state, respect for law and order, and the monarchy. Having the freedom to practice their religion was clearly something very important to all of those we interviewed. When one Bangladeshi man was asked what he valued about Britain he simply replied: “They have never questioned me about my religion, which I have been able to practice freely”. There is a paradox here. The default position is to think of core British values as a quest for what culturally we have in common – a search for sameness. But the people we spoke to put the respect for diversity right at the heart of what they valued about living in Britain. Our interviewees – who had worked tirelessly to give their children opportunities beyond their own reach – spoke of the welfare state. Many had been actively involved in voluntary activity and a wide range of community work. But they also valued the services provided by local authorities and central government – especially the NHS. They shared their concerns with us about the breakdown of the extended family in their communities – which among other things acted as a counterweight to reliance on the state. Interestingly, as we published our findings, the Joseph Rowntree Foundation reported the impact of ageing on the health of ethnic minorities was occurring at a comparatively younger age when compared to other sections of society, underscoring the importance of the NHS. Respect for law an order was a value widely shared. The first generation avoided confrontation, a fact not always sufficiently recognised, and which, because it removed one line of defence, may explain their appreciation for the times when they had faced racial hostility and were supported by the police. Two-thirds of those we spoke to identified closely with the monarchy. In fact some thought that it was the Queen who more than anyone or anything else best summed up what it meant to be British. The perception of a strong link between the royal family and the Commonwealth may well have been important here. What should we make of these first generation Asian migrants’ articulation of British values? At their worst British values can come across as little more than a collection of pious platitudes or convenient political slogans. This wasn’t true of our interviewees who spoke about these values with sincerity and in a way that related them to their day-to-day lives. On the face of it, there is a fair overlap between their values and those of the Prime Minister – albeit tolerance had a higher priority for our interviewees, and be more explicitly linked to the question of freedom of religion. But our study had a very different dynamic to the debate we have witnessed over the last week. We were not trying to establish whether or to what extent our interviewees agreed with what others – be they politicians, journalists or indeed Ofsted inspectors – thought core British values were. Rather, we went with open minds in search of British values in Greater Manchester’s Asian communities without presuming that they existed or that, if they did, we already knew how they were going to be defined. We will never break out of the current cycle of confusion about British values until we allow ourselves to think differently about them. To breathe life into these values we have to work from the bottom up not the top down. We have to recognise that for something to be taught it first has to be defined, and for something to be defined it first has to be discussed. We don’t need edicts from government, however well intentioned. What we need is a nationwide dialogue about the British values we do (and perhaps don’t) share – a dialogue that spans the sacred and the secular, the north and the south, the urban and the rural, and the advantaged and disadvantaged. It may well be that our schools are among the best drivers of this dialogue, but only if we downplay its didactic purpose in favour of our best traditions of democratic debate. For the full report, see “Asian Britishness. A study of first generation Asian migrants in Greater Manchester”. The authors note one of the reasons for migrants to live in U.K. was the NHS and other ‘benefits’ One notes that if a person who is now 86 and migrated in 1952 they would have been in their 40 on arrival. How much had they paid in contributions to the NHS? Even to this day Asians and others have treatment on the NHS when they are in U>K> on holiday? who would not sent this burden when they had paid contributions since first working even as a teenager still in education? How many Englanders go to India after bypass surgery (where one month cost of living in England last a year in India) so they can have servants to belittle? That road goes in both directions. Also, how many of England’s pharmaceuticals pass their human trials in India because their lives are worth less? England has and continues to benefit from India. For too long, Indians have been treated like dogs. They deserve some compensation. Perhaps Britain should help pay the cost of the residential school compensations in Canada. You set up the system and claim no responsibility. The Empire confiscated great tracks of land from British Columbian Aboriginals for the war effort during WWII. We the citizens of Canada must repay your debt caused by your imperialism. That is certainly not fair. Good thing this is a non-credit course. The basic premise is utterly flawed. In 2011 Manchester South Asian population had 272,173 people or 10.15% of the population. A sampling of 40 people is 0.01469% of that sub-population is statistically insignificant. Are you asking readers to just have the good old fashioned faulty logic in your appeal to authority (yourselves). I want to see information based on real facts not props. If you are considered Authorities, God help us all in the colonies (each Canadian, through our taxes, still pays for the Queen, hence we are still a colony). When you question someone’s core values, you tend to get the same answers. Hence questions like ‘Are you prejudiced? Are you tolerant? Are you racist? Have an obvious, sometimes truthful, or untruthful reply. Hence in questioning 40 Asians, or anyone else, you unlikely to expose any stated bad feelings at all. And people who say ‘I am very tolerant’ usually mean they are very tolerant towards people who think, (not look) exactly like they do. Sorry… this is a deeply flawed experiment.